In this review I will be looking at the basic areas (eg. graphics, gameplay, audio etc.) as well as adding some screenshots/videos and speaking of videos.. I will be uploading a video with me commentating a match I played on the Eu beta. 1. Each chapter of StarCraft II includes a unique single-player campaign. 2. Custom-designed, fast-paced online play through an upgraded version of Blizzard's renowned online gaming service, Battle.net. 3. Includes a powerful, full-featured map editor that will put the same tools used by Blizzard's designers into the hands of players. So, without any further adieu, let us begin! Note: Each page will include a couple different areas I looked at and reported on. StarCraft II: Wings of Liberty is a military science fiction real-time strategy video game currently under development by Blizzard Entertainment as a sequel to the award-winning 1998 video game StarCraft. Set in the 26th century in a distant part of the Milky Way galaxy, the game is built around three species: the Terrans, human exiles from Earth; the Zerg, a race of insectoid genetic assimilators; and the Protoss, a species with vast psionic power. Wings of Liberty specifically focuses on the Terrans, while the expansions Heart of the Swarm and Legacy of the Void focus on the Zerg and Protoss, respectively. The game is set four years after the events of StarCraft: Brood War, and follows the exploits of Jim Raynor as he leads an insurgent group against the autocratic Terran Dominion. However, unable to inflict major damage against the Dominion, Raynor's forces are relegated to the roles of mercenaries, recovering artifacts of an ancient species thought extinct, the Xel'Naga, for their enigmatic employers. 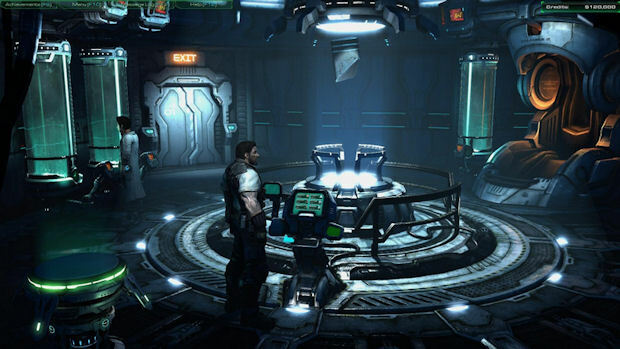 The game reunites old characters from the original game, as well as introducing new characters and locations to the franchise. As the game is only in beta, these may be subject to change over time as the game is updated. 3D graphics processor with Hardware Transform and Lighting with 32 MB VRAM such as an ATI Radeon 7200 or NVIDIA GeForce 2 class card or better. 3D graphics processor with Vertex and Pixel Shader capability with 128 MB VRAM such as an ATI Radeon X1600 or NVIDIA GeForce 7600 GT class card or better. Although it has been said there will be a version of the game for all the Mac players out there, but currently there are no technical reports of system requirements. Overall, I believe that even if you have your graphics set on a lower register you will still be impressed with the quality of the game. I know my computer can't handle max'd out visuals and keep running smoothly at the same time, so I had to turn them down a notch and like I stated above, I was not disappointed in the least. They have undergone some very major changes recently though as you can see in some of the below images (sorry for the low quality, but you should be able to see the difference). StarCraft II also continues its predecessor's use of pre-rendered cinematic cut scenes to advance the plot while also improving the quality of in-game cut scenes within the levels themselves, which are rendered on-the-fly using the same game engine as the graphics in the game proper. Blizzard states that with the new graphics engine that StarCraft II uses to render the gameplay, they "can actually create in-game cut-scenes of near-cinematic quality". From what I've seen thus far, there isn't really a whole lot to say here. The audio has definitely upgraded since the last expansion but there really isn't anything that stands out at me to be stated here other than the very nice battle music they use. According to its creators, StarCraft II is designed to be the "ultimate competitive real-time strategy game", building on the successes enjoyed by its predecessor, StarCraft. It features the return of the three races from the original game—Protoss, Terran, and Zerg; Blizzard states these are the only playable races in the game. StarCraft II is also designed to focus more heavily on the multiplayer aspect, when compared to the original StarCraft. The changes include overall improvement in Battle.net, a new competitive "ladder" system for ranked games and new matchmaking mechanics—designed to "match-up" players of equal skill levels. In addition, the replay function, which allows players to record and review past games, is being improved. Blizzard has also stated they have made some changes to the game that were suggested by fans. Most Protoss and Terran units, and some Zerg units, have been shown on the StarCraft II official website (here), and in several video demonstrations held by Blizzard. Improvements include advanced scenery allocation and more detailed space terrain, such as floating space platforms with planets and asteroids in the background. Small cliffs, extensions, and even advertising signs were also shown to have been improved and refined. The new Terran briefing system allows the player to explore the inside of the battlecruiser Hyperion. The single-player aspect of StarCraft II has also been altered substantially from the original game. The Terran campaign shown at BlizzCon 2007 replaced the original StarCraft briefing room with an interactive version of the battlecruiser Hyperion, with Jim Raynor, now a bitter and hard-drinking mercenary captain, as the central character. In a departure from previous Blizzard games, the campaign is non-linear, with Raynor taking jobs for money and using that money to buy additional units and upgrades. Although each playthrough will vary, the end result will remain consistent keeping the storyline linear. Vice president Rob Pardo has stressed that each campaign will function very differently. The Terran campaign, Wings of Liberty, will place players in a mercenary style campaign, as Terran rebel Jim Raynor performs missions for cash. The second release, the Zerg campaign Heart of the Swarm, will have RPG elements. The player will level up the Queen of Blades, Kerrigan, throughout the missions. In the last expansion, the Protoss campaign Legacy of the Void, the dark templar Zeratul will have to employ diplomacy between Protoss tribes to acquire units and technologies for each mission. Each campaign should span 26-30 missions. Galaxy Editor replaces the StarEdit as StarCraft II's campaign editor. It will be more sophisticated than StarCraft's StarEdit and WarCraft III's World Editor for creating custom maps and mods. Units from the original StarCraft not in the multiplayer version of StarCraft II, along with units and abilities that were scrapped during the development process, will be available in the editor. Chris Sigaty, Lead Producer, has also stated that the editor will give players the ability to create RPG, Hero-type units and structures resembling those from WarCraft III. Wow that that is crazy. <3 Uberlisk. So, first off I would like to mention this is my second match I had played against another actual human being and my first time commentating a video so you should expect it to be very rough and I will say 'umm' a fair bit. Other than that, that quality is kinda crappy (still learning in that field too-sorry for the shadow effect, I didn't mean to make it look so dark) but you should be able to get the main idea across. In total the video is 17 almost 18 minutes long and it was all because xaaroncx lent me his account to use so thanks again mate! This is a very fun game and although it is only in beta right now, I suggest you look around a little and watch some more videos about it before you make a final decision about whether or not you will buy it or not. In my opinion, since I'm a big StarCraft fan I would highly suggest getting this game when it is finally released. The great story, amazing graphics and sweet multiplayer mode cannot be missed. Thanks for reading this guys and I hope you enjoyed this look at the StarCraft 2 beta. I would also like to mention, I cannot always use xaaroncx's account and I would love to continue making videos like that on the beta and releasing them here for you guys, so if anyone has a spare key shoot me a PM and we can chat. I still believe that they could've done more to the graphics, but I haven't played it yet so I can't say for sure. **** yes I got compared! Great work once again glyn. Your articles always impress! This is a review! Not an article! Again, sorry for the crappy qual of the youtube video. Next time it'll be much better, I know where I went wrong. [Selling] WTS BLIZ---WOW CATA, Diablo 3, Starcraft 2: heart of the swarm, hearthstone beta. WoW The burnng crusade beta key?